Goal difference might yet decide the title and, in thrashing Chelsea, City gave themselves an ever larger advantage over Liverpool. For the Blues, this was their fourth consecutive loss away from home in all competitions, with the aggregate score in their most recent three Premier League trips reading 12-0. Aguero provided City’s cutting edge and took his 2019 tally to 10 goals in all competitions, but the platform for their dominance was built on Silva’s boundless energy. With namesake David surprisingly on City’s bench, Bernardo was brilliant. What Barkley was thinking when he headed the ball back towards his own goal from 20 yards out is difficult to understand. Chelsea already trailed 2-0 but setting up Aguero’s second of the game ended any hope of a Blues fightback. Barkley looked out of his depth throughout and was unsurprisingly hooked early in the second half. – Chelsea suffered their heaviest defeat in any competition since losing 0-7 to Nottingham Forest in a top-flight match in April 1991. 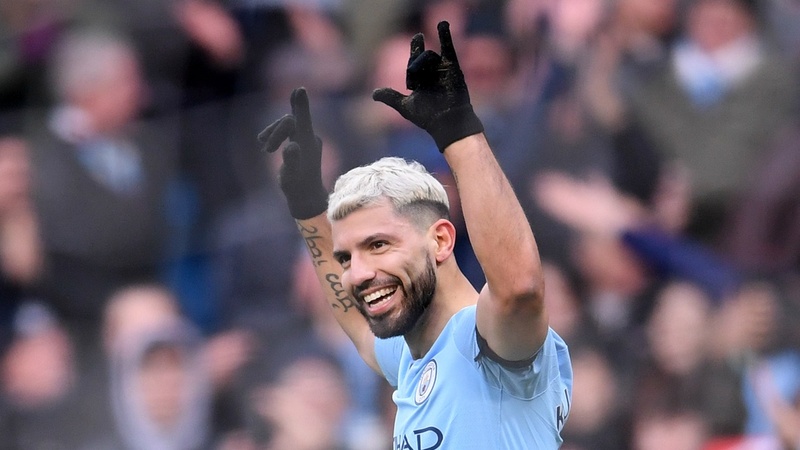 – Sergio Aguero has scored eight Premier League goals for Man City in 2019 – double that of any other player in the competition and more than 11 other Premier League clubs have managed, including Chelsea (seven). – Chelsea conceded four goals in consecutive away top-flight matches for the first time since December 1990. – Chelsea manager Maurizio Sarri suffered his heaviest ever league defeat as a manager, with this the first time he’d seen one of his teams concede more than four goals in a match. – Aguero has become the fifth player to score hat-tricks in consecutive home Premier League games and the first since Didier Drogba in August 2010. Chelsea will try to recover some pride when they head to Malmo in the Europa League on Thursday, with City at Newport County in the FA Cup two days later. In-form Manchester United are then the visitors at Stamford Bridge on Monday in the fifth round of the cup.